The Raiders seem to feel like all that money that former first overall pick JaMarcus Russell made with the team was not earned. 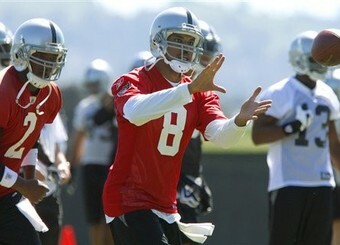 Because of that, the Raiders have filed a grievance seeking nearly $10 million back from recently released quarterback. Yahoo! 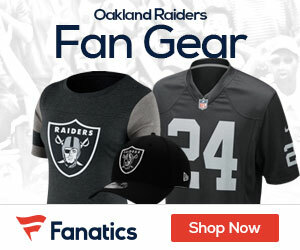 Sports first reported the story Thursday, saying the Raiders are seeking $9.55 million from Russell in what was paid as salary advances for the 2010-12 seasons. The team later confirmed the report. “We have filed a grievance against JaMarcus Russell and that’s all we’re going to say at this time,” Raiders general counsel Jeff Birren said in a statement. The career of Russell in Oakland was awful – and that’s being nice. He missed out on the entire training camp, and then started just one game as a rookie before showing some signs of progress in his second season. He regressed last year as he was fined for being overweight and criticized by the coaching staff for his work ethic. He ultimately lost his starting job midway through last season as his passer rating of 50.0 was the lowest in the NFL since 1998. Owner Al Davis finally decided to cut ties three weeks ago with the player he once believed would be his franchise quarterback. Russell won only seven of his 25 starts in his career with Oakland. He completed just 52.1 percent of his passes in his career with 18 touchdowns, 23 interceptions, 15 lost fumbles and a passer rating of 65.2. For that, the Raiders say that he owes them money, and it’ll be in the hands of others to feel if he does or not.